BAE Systems Australia has officially opened its new $10 million titanium machining facility at Edinburgh Parks, South Australia which would fabricate parts for the F-35 Joint Strike Fighter jets. According to a report on ABC News, BAE Systems is making 30 separate parts for the vertical tail fin of the aircraft. South Australian Premier Jay Weatherill officially opened the plant and spoke about the collaborative agreement with the State Government and BAE sub-contractor, Rosebank Engineering. Rosebank is investing in its own advanced metals finishing facility due to be opened in Wingfield in Northern Adelaide early next year. “Bringing together BAE Systems and Rosebank to fill a niche capability in advanced manufacturing will deliver long-term benefits for South Australians,” Mr. Weatherill said. BAE’s machining facility features an $8 million Starrag BTP5000 titanium milling machine and is said to be the only one of its type in the southern hemisphere. 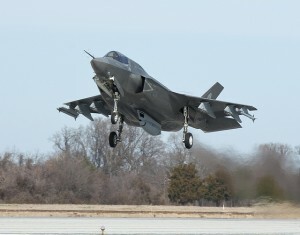 “This project is underpinned by BAE Systems’ participation in the F-35 Joint Strike Fighter supply chain over the next 20 years,” said BAE’s Systems chief executive David Allott said. “I am confident that our investment will provide opportunities to grow our manufacturing business in coming years. According to BAE Systems’ website the Starrag BTP5000 can machine long thin wall parts, measuring up to five metres, suitable for aerospace use. The unit, which took six months to build on the site, can machine titanium to within 30 microns, or half the width of a human hair.